The Morse Museum is open to the public six days a week throughout the year with the exception of some major holidays. Parking is available at the Museum’s rear entrance. Please plan on taking at least 90 minutes to view the galleries, and in addition we strongly encourage visitors to allow time to view our 14-minute orientation film, A Legacy for the Community. For the best experience, please read our tips for visitors. 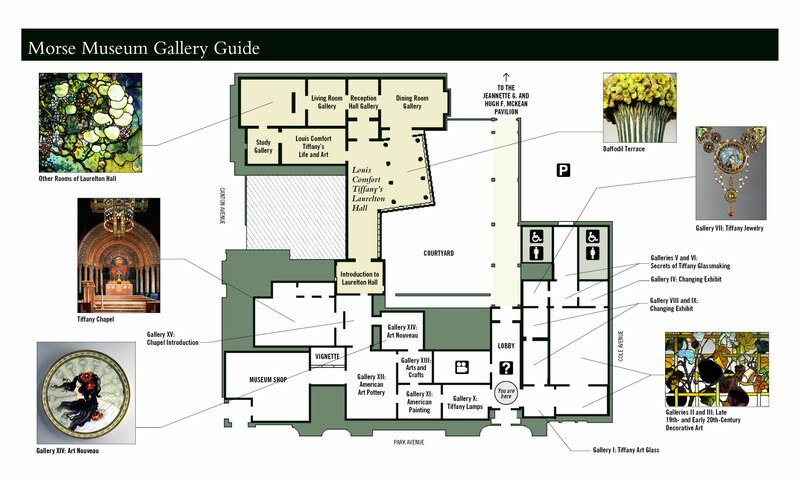 Gallery tours of the the exhibition Louis Comfort Tiffany’s Laurelton Hall are available most Tuesdays and Thursdays at 2:30 pm. Available on a first-come, first-served basis to visitors in the Museum. No advance reservations. Gallery Talks for Revival & Reform—Eclecticism in the 19th-Century Environment gallery are usually available with docents at 11:00 am on most Wednesdays. Available on a first-come, first-served basis to visitors in the Museum. No advance reservations.